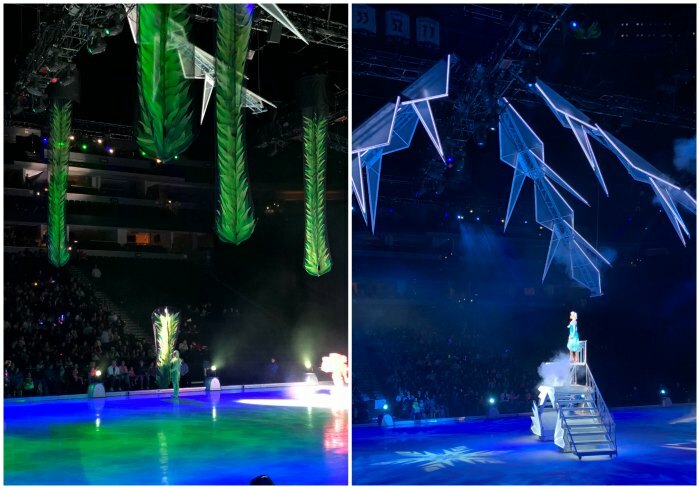 Disney On Ice is a magical medley of Disney favorites on ice- as well amazing reprises of Beauty and the Beast, Cinderella, Moana and Frozen. 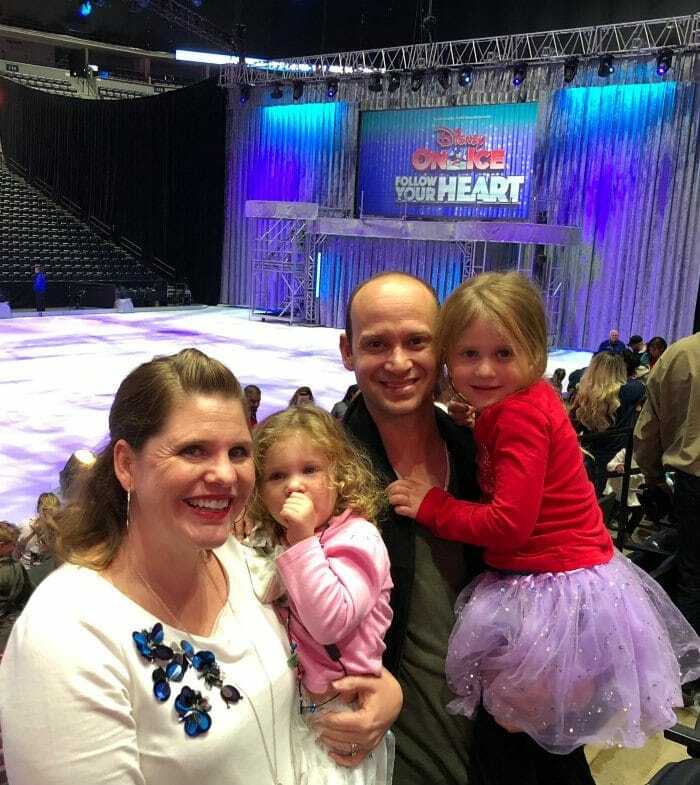 Disney On Ice a great holiday night out with young children. All the classic favorite songs from each movie are featured in the show, and the audience was definitely singing along- I was belting out “Let It Go” with the best of them! There is a good mix of dialogue and songs, so the show felt like it went by really fast. It’s about two hours long with one 15 minute intermission, so it was a long, late night. There were a lot of younger kids that were getting pretty tired and fussy about halfway through the show- there are matinee shows on Saturday and Sunday. The ice skaters are so good- but the scenery and special effects just add so much to the whole show. There is a big stage at the back of the ice, with an LED screen showing complimentary backgrounds. During the princess medley there two of the princesses did acrobatics from ropes hung from the ceiling- it was so cool! Kelp extended from the ceiling during the Finding Dory sequence, and at the end of the show there was an amazing Frozen sequence involving spectacular lights and fireworks. Just keep swimming with Dory, Nemo, Marlin and new pal Hank from Disney•Pixar’s Finding Dory as they embark on a life-changing excursion to find her parents and discover the true meaning of family. Cheer with the Emotions from Disney•Pixar’s Inside Out –Joy, Sadness, Anger, Fear and Disgust– as they help Riley find the confidence to win the hockey championship and experience the emotional rollercoaster of growing up. Venture to wintery world of Arendelle where Olaf and Kristoff help reunite royal sisters Anna and Elsa from Disney’s Frozen and learn love is the most powerful magic of all. See Cinderella, Rapunzel, Tiana and the Disney Princesses make their dreams come true through their virtues of bravery, kindness and perseverance. And celebrate true friendship with Buzz Lightyear, Woody and The Toy Story gang. 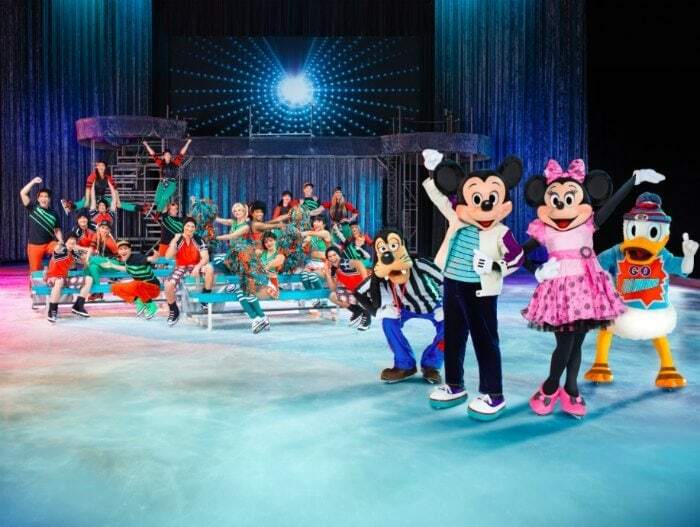 Make unforgettable memories with Mickey, Minnie and all your Disneyfriends when Disney On Ice presents Follow Your Heart skates into your hometown! Thurs., Dec. 7: 7:00 p.m.
Fri., Dec. 8: 11:00 a.m., 7:00 p.m. Sat., Dec. 9: 11:00 a.m., 3:00 p.m., 7:00 p.m. 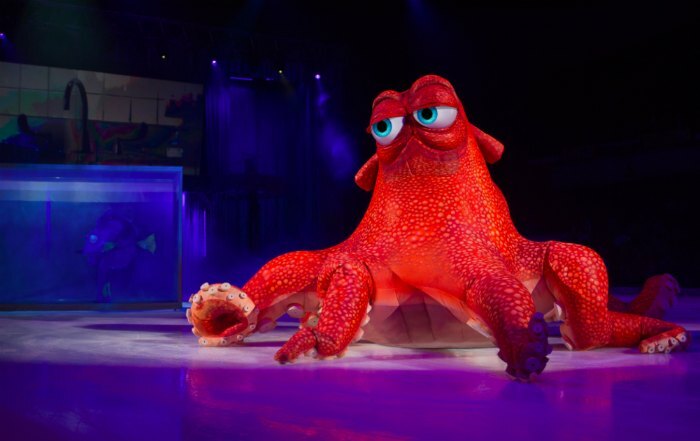 Sun., Dec. 10: 1:00 p.m., 5:00 p.m.
Tickets for Disney On Ice presents Follow Your Heart start at $15.00. All seats are reserved, and tickets are available by calling 866.461.6556. Looking for more family Disney activities from Pura Vida Moms? I am a great photographer! Had a great time last night!